Kids are cute, right? Well, not if you ask some of Hollywood's most celebrated horror directors. Angel-faced children with a penchant for murderous terror have long been staples of the scary movie genre, and they've still frightening audiences today. Just in time for Halloween, here's our list of the top three scariest kids in horror movies. 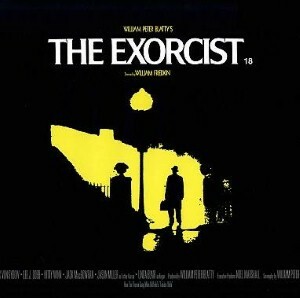 Is there any movie scarier than The Exorcist? That one might be up for debate, but there's little doubt that Regan MacNeil is one of the most terrifying little girls in film history. Between floating out of bed, speaking backwards, uttering Latin verses and projectile vomiting, Regan makes it clear that demonic possessions are nothing to mess around with. With a name like Damien, how could the main character of The Omen not be spooky? Taken from his deceased mother shortly after birth, evil seems to follow Damian Thorn everywhere he goes, leading to madness for his adopted family. Sure, he's a murderous adult for most of film, but the opening scene of Halloween is one of the scariest moments in the horror genre. The look on his parents' faces when little Michael Myers emerges from his home in a clown costume while holding a bloody knife is sure to send shivers down anyone's spine.